Are you bored and have nothing to do? Want to learn something new today? 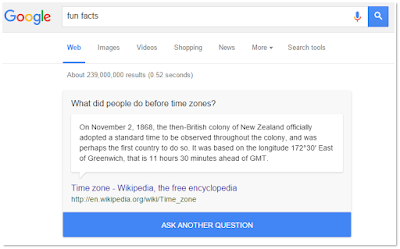 Let Google help you waste some time and maybe fill your head with some new trivia facts..
Search Google for "Fun Facts" and Google will share a cool fun fact. 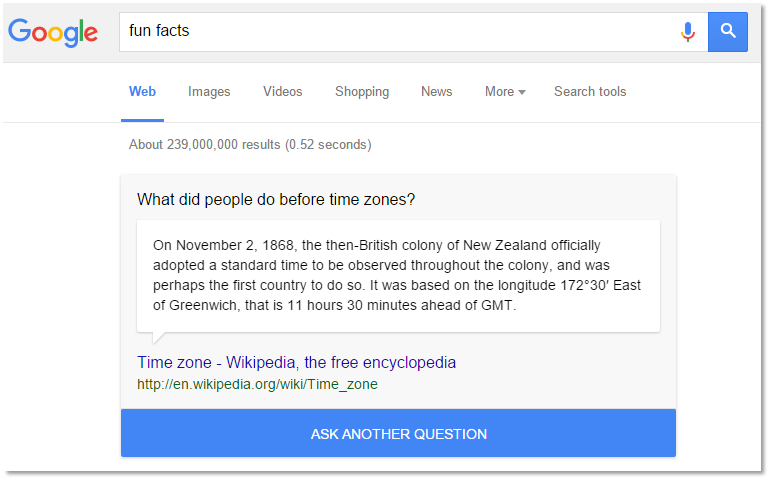 To get another fun fact, there's a large "Ask Another Question" button available. Go ahead and search again. And again. And again. Beside the initial key words "Fun Facts", you can also use "I'm curious" to get your trivia.